A historic city of India, Jhansi is known to be one of the important cities in the Bundelkhand region of India. It was also the capital of the princely state of Jhansi which was ruled by the Marathas. One of the most famous of Indian revolutionaries Rani Lakshmi Bai was also a Maratha queen who participated in the 1857 revolt. The historical significance of the city has made it an important tourist spot. Here’s the list of the best places to visit in Jhansi. The Quila or fortress is located atop a hill in Jhansi and was the residence of the Chandela Kings from the 11th to the 17th centuries. 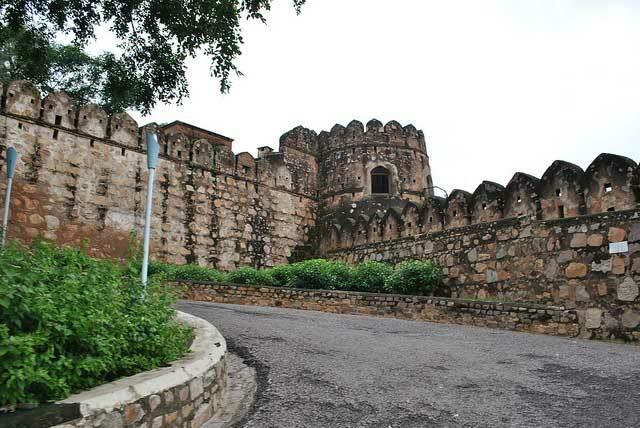 Jhansi Fort has thick granite walls and several bastions with mounted cannons. The Fort also houses the Rani Mahal which was the living quarters of Rani Lakshmi Bai and is now an archeological museum. The Jhansi Mahotsav held here during January or February is probably the best time to visit this fort. The Government Museum of Jhansi was established in 1878 and is one of the best places to find few of the rare archeological gems in India. The massive galleries contain several paintings, weapons, manuscripts and various sculptures and statues that date back to the Chandela and the Gupta dynasty. An ancient town in Uttar Pradesh, Chirgaon is located just 30 kilometers away from Jhansi. Chirgaon is famous for its various temples and is one of the best preserved ancient cities of India. The various ancient and sacred ponds in the city are a must visit along with its various ancient temples. The place is also the best if you want to truly experience the region’s culture. Maharaja Gangadhar Rao Ki Chatri is dedicated and named after Maharaja Gangadhar Rao who was the Maratha king that ruled Jhansi in the 19th century. The monument is a cenotaph that was built by Rani Lakshmi Bai for her husband in 1853. The monument is located in the Jhansi fort and is built in a typical Maratha Hindu style. Although the town is small and has a few number of tourist attractions, Jhansi is a town that is remembered in history for its significance in the Indian revolt of 1857. The aforementioned places are the best if one wants to experience the true history of the Indian culture and the culture of Jhansi.